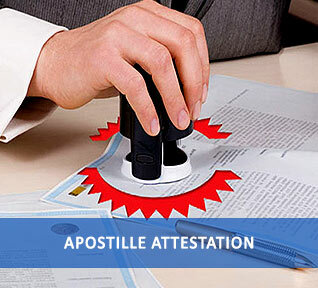 Apostille Attestation is a mandatory requirement for traveling to any Hague member countries,. It is an important process in MEA attestation. MEA or the Ministry of External Affairs attestation is required for getting embassy attestation. There are two types of MEA attestation in certificate attestation process. One is Normal attestation and other one is Apostille Attestation. Normal MEA attestation is done for traveling to non-hague member countries. Apostille attestation is the process where a single document is required or legalized to travel to all Hague member countries. According to the Hague convention of 1961, a document from one of the signatory countries can be certified for legal purposes in all other member countries. It is done after verification and authentication from the state where the certificate was issued. Apostille attestation is done for personal and educational documents. Urogulf helps and assist you in providing Apostille attestation for travelling to any of the Hague convention member countries. We have a wide network of agents who can attest the documents directly through government without involving any third party. You can submit the documents in any of the nearby Urogulf offices.